O! To the Yin and Yang of life! To these delicious GF crepes! At times in my life when the bounty is plenty and my appetites call, I find myself being led to whatever local cheese calling out to me, each multi-colored salt that beckons, this and that and the other thing, going kinda wildly to market. Ensconced later on with a plethora, a virtual “oh-my!” picnic spread to fill the cabinets and my kitchen. And then there are times like these. These glory days when, in the void of the next unfurling crest of phone calls and travel, I have to float, and live, and eat, in trust of that next wave bringing me back ashore. These days can bring my heart back into a deep gratitude. I have many provisions stored away, some not seeing frequent use and light of day. Bringing me back to the roots – the vegan life from which these last years have sprang. To make use of a few ingredients and create some fresh joy on the stove is a mighty balm. Without buying a thing. 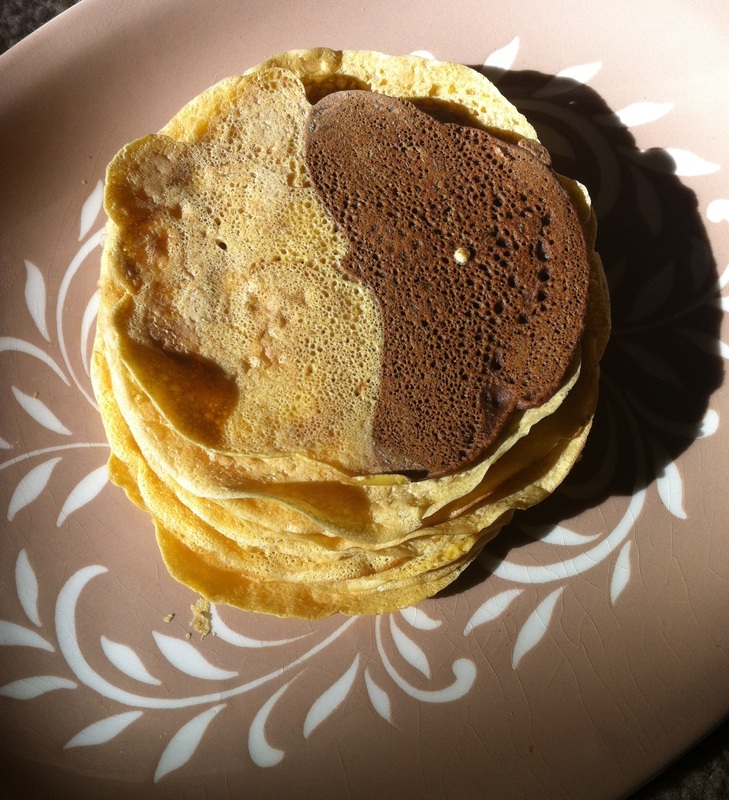 This morning it is a simple recipe for garbanzo flour crepes, adapted from Chocolate and Zucchini . With the flavor switch of adding ginger powder, and then, as the lovely task of flipping crepes wore on, a brainstorm to add cocoa powder, and vanilla to a portion of the batter. Makes 18-20 6 inch crepes. Adapted from Chocolate and Zucchini‘s recipe. 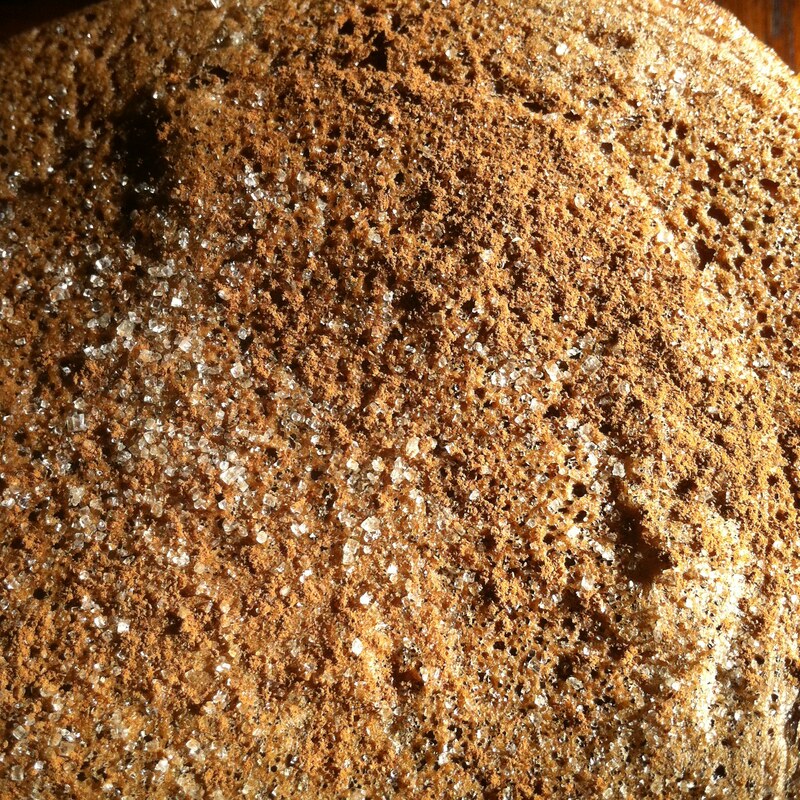 I adjusted the salt content, and the flavoring… The ginger flavor can work very well with savory fillings, as well as sweeter tones. I like the addition of cinnamon as a sprinkle, along with organic sugar, with the chocolate variation. (You need it, or something sweet, to enhance the chocolate and downplay the garbanzo flavor, it can be done!) I love these crepes because of the simple ingredients, the ease of preparation and end result texture. Whisk dry ingredients together. Whisk in warm water thoroughly. 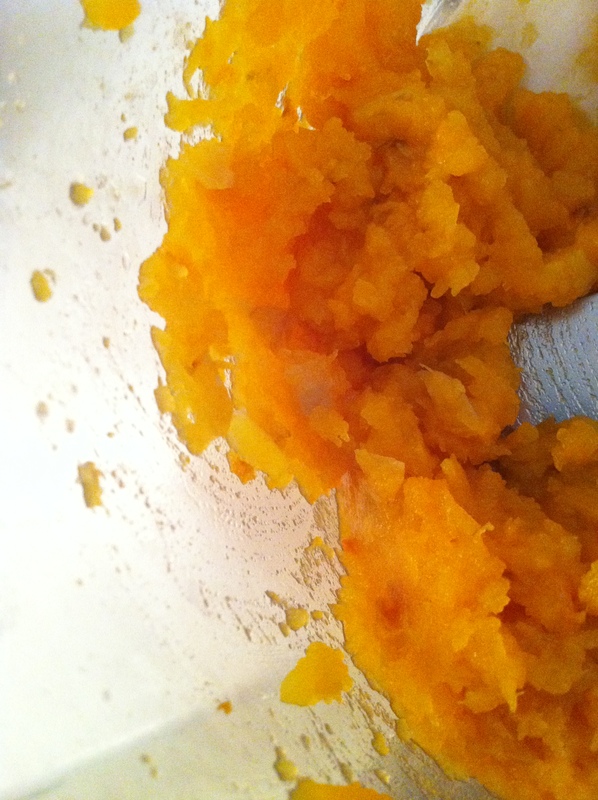 Allow batter to sit so flour may absorb the water, developing the texture, whisking occasionally. Heat a non-stick or well seasoned skillet over medium high heat. Brush pan with oil. Test a drop of batter on the hot surface for readiness, when it sizzles, be prepared to make crepes! Using a medium spoon or small ladle, pour approximately 3 tbsp. 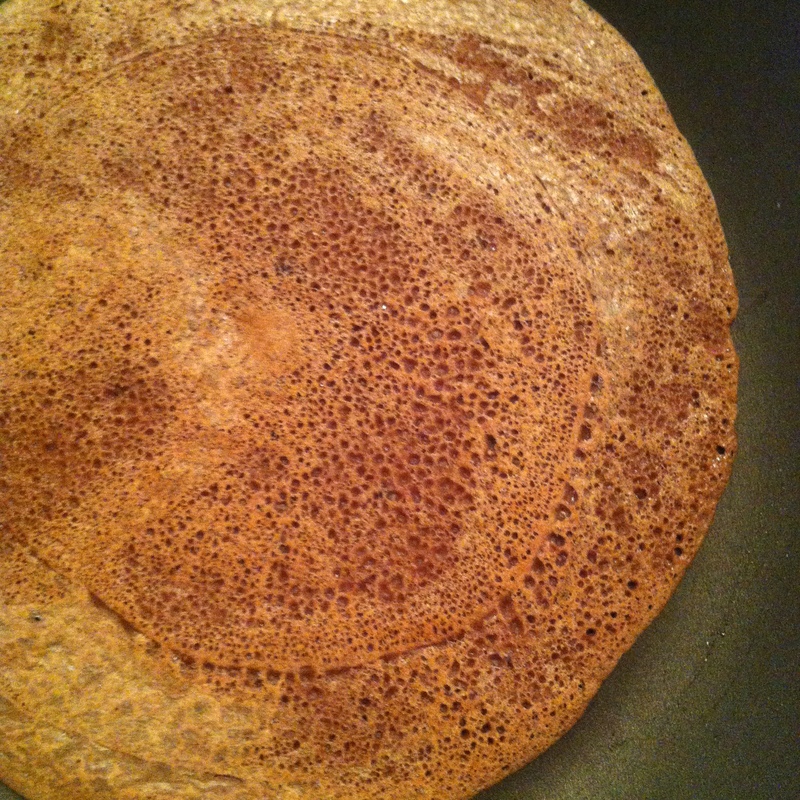 batter into the pan, swirling the pan immediately so the crepe batter covers the bottom uniformly. Place back on burner and watch closely for the crepe to dry around the edges and into the center, about 1 minute. Loosen edges all around and flip. 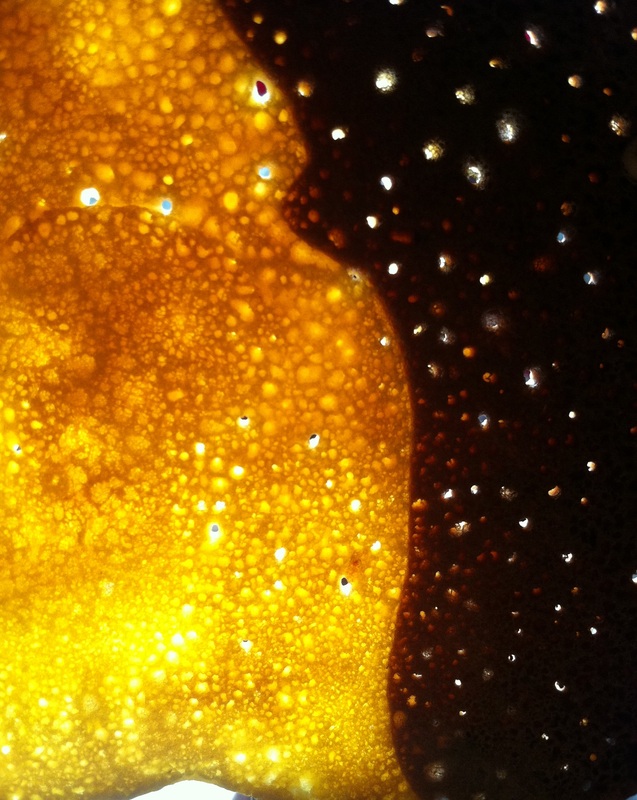 The crepe should be golden brown – allow the second side to cook for about 30 seconds more. Check the bottom and slide from pan onto a plate. Repeat with remaining crepe batter. If you want to try chocolate crepes…. Scoop a cup and a half or so of the prepared batter into a second bowl. Whisk in 1 1/2 tbsp. quality cocoa and a little splash of vanilla. If you like, a tbsp. 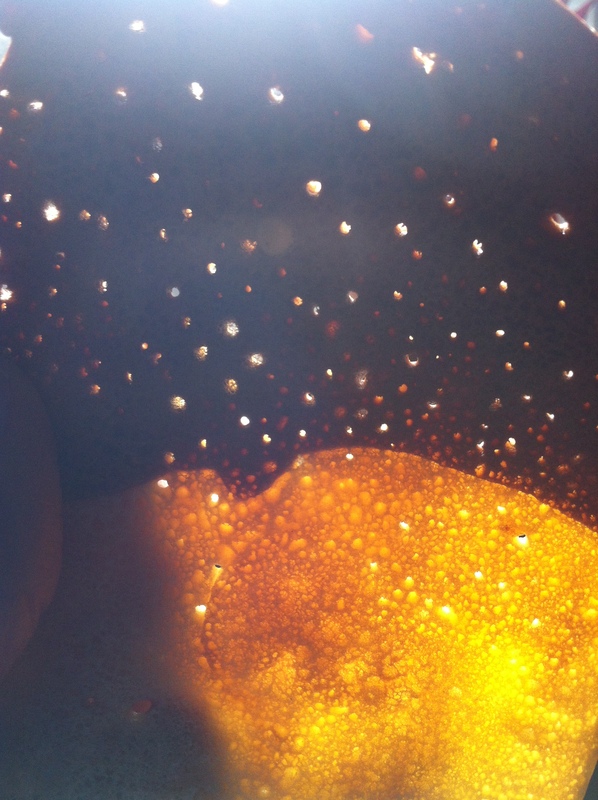 of organic sugar and a tsp. of cinnamon. (Or you can sprinkle these over the top when you are serving.) Make crepes as above. Inspiration from the garden is ingrained down into my bones as a fabulous motivator. And I’m sure, from life at the eclectic restaurant Cuisine!Cuisine! in years gone by, scanning the contents of the walk-in each afternoon for menu twists and daily specials. 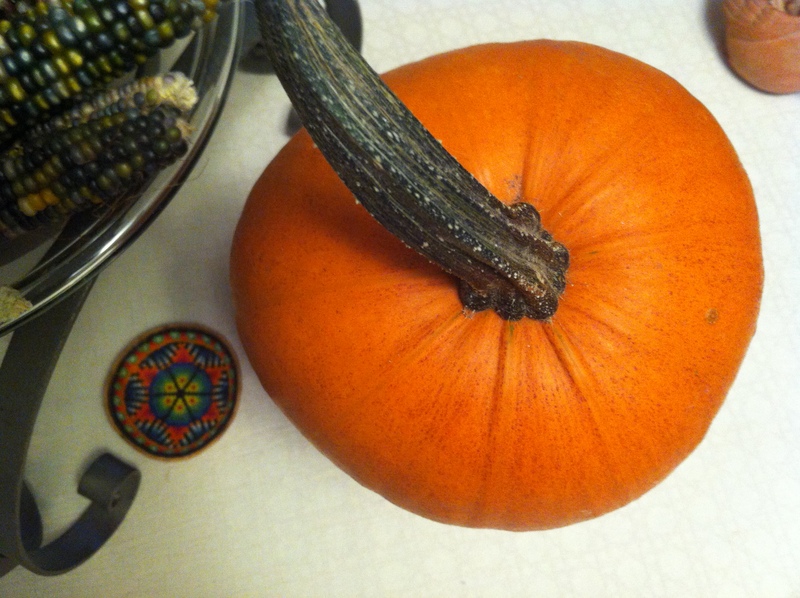 With this pumpkin in prime condition, who wouldn’t be inspired? Halve, scrape, bake, and puree. You know how. 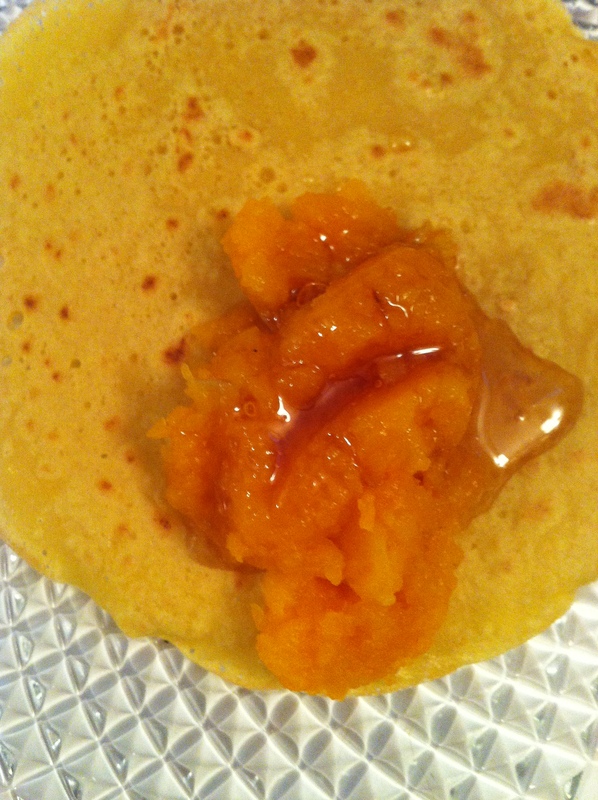 A good drizzle of fine local honey and warm, pureed pumpkin dolloped inside the fresh crepes – a perfect brunch munch with a steaming cup of chai, don’t you think? You can follow my lead here, or let your imagination run the thousands of directions it is able, to create fantastic fillings. I’d love to make a crepe torta with layers and layers of crepes, spiced pumpkin, mascarpone, maybe drizzled with warm caramel sauce. And for the pumpkin, feta, toasted pumpkin seed and wilted spinach crepe, and all of those ideas in orbit, in the celestial workings of an imagination gone wild in the kitchen. your photos are so gorgeous… and it all makes my mouth water… thank you! Thank you Caterina! Yes, the addition of gluten free crepes in my life is welcome indeed. Wonderful too for Indian and Middle Eastern meals – hummus – baba ganoush roll ups… enjoy, and have a lovely day!